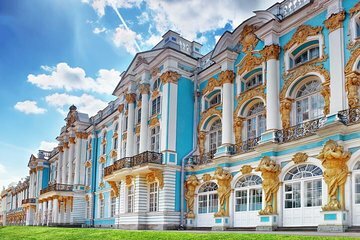 Visit the beautiful Catherine Palace and Park on this half-day tour. Make your own way to the Hermitage Museum where a van is waiting to transfer you to the palace. Learn about the history of the palace as you explore with a small group of 16 to 18 travelers and take time to admire the ornate Amber Room.